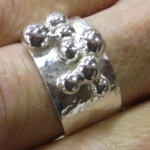 I run an annual short course in the autumn term for the Abingdon Silver Group. This is a ‘crash’ five week course covering practical and theory. Please contact me for details. I have occasionally done some individual tuition of specific techniques at my workshop. Please ask. 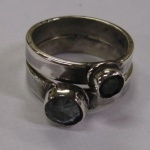 I taught silversmithing for about 15 years as an evening class for Abingdon College until 1999. From May 2008 to March 2009, I ran a set of evening classes for Oxfordshire County Council Adult Learning at St Birinus in Didcot on Thursday nights. I also taught three successful one-day workshops at Cheney School in Oxford from July 2008 to March 2009 for OCC. While I enjoyed the contact time and had very good feedback from my students, I decided that the obligations of public sector teaching did not justify the rewards. 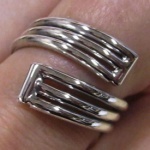 Here are some examples of rings that were made in my classes. As you can see from the examples of my work, I can cover a wide range of techniques. My classes generally include a short ‘lesson’ on a particular technique and then practical work. 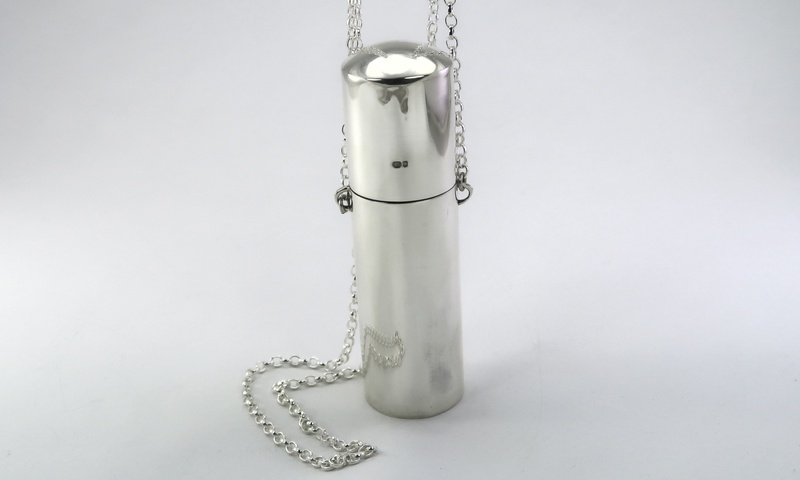 I start from basic cutting, filing and soldering to casting, with sections on metals and hallmarking. By the end of the series of classes, I would expect you to understand what could be done, albeit not necessarily the full detail of how AND the experience of having made somehting yourself! To get people started, I have a set of instructions for some straightforward pieces. I can also provide bespoke courses for one or two people in my workshop. I try to pass on my knowledge of what works for me. I don’t claim to be an expert in all aspects. 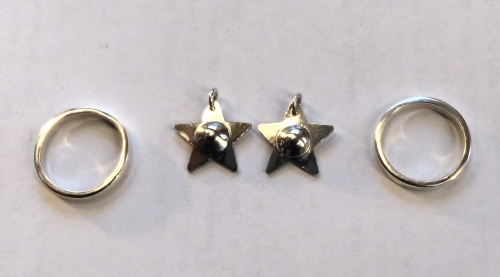 Here are a ring and a star motif each made by two students in a session. See here for more detail.